The award-winning baby sleep programs by sleep consultant Heidi Holvoet, PhD, are truly practical and focus on results. Each program tackles one specific issue which, once solved, improves baby's overall sleeping. Which program to choose? Simply think of the sleep issue you and your baby struggle most with right now and then choose the program that has that issue in the title or is related most closely to it. You will work with gentle techniques - no crying it out - that are realistic and give lasting results - no quick fix. More help choosing? Use my easy checklists for when to choose which program. 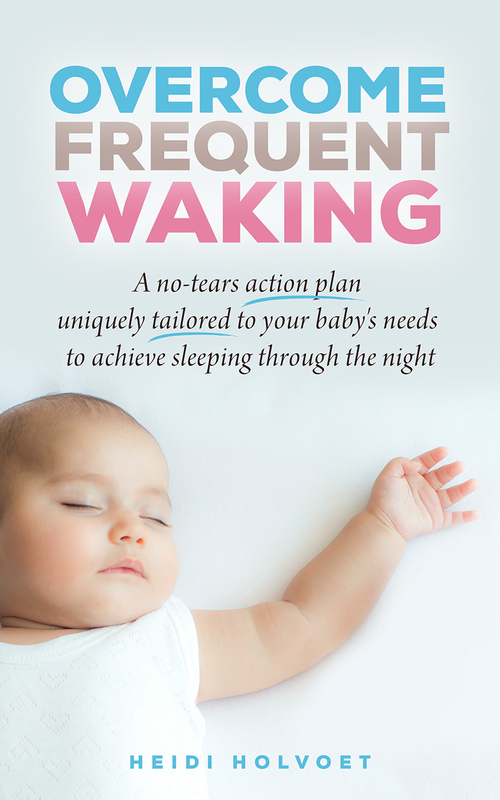 Tried, tested and approved by an international team of test-reading parents, Overcome Frequent Waking gives you the gentle and effective tools you need to overcome those frequent wakings, without tears and whichever your current sleep associations (breast, bottle, rocking, swing, swaddle, car seat, etc.) or challenges (self-soothing, naps, routines, etc.). Thanks to a dedicated sleep action plan - that combines your baby’s physical and emotional well-being with Heidi Holvoet’s proven no-tears sleep techniques - helping your baby sleep through the night is no longer overwhelming, but doable and effective. 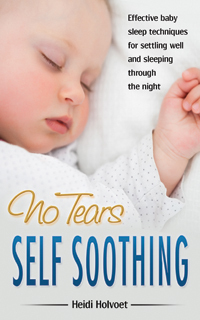 No-Tears Self Soothing takes you through the award-winning 3-step program to teach your baby to settle independently. The effective techniques include gentle ways to transition from nursing, holding, rocking or otherwise helping to sleep, transitioning from co-sleeping and from sleeping in odd places (like a swing, stroller, ...). Parents love the consistently improved sleep they see and appreciate the author's supportive tone. Successfully setting itself apart from others, this sleep program truthfully honors baby's uniqueness: the 3 steps naturally help you adapt the gentle techniques to fit your baby's personality and maturity as well as your family situation. This program has been named among the best in family-friendly media, products and services by the Mom’s Choice Awards®. Nap in a Snap is a truly practical program for helping your baby or toddler nap well. 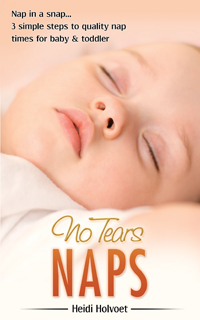 It gives you the doable no-tears tools to set up the right nap routine. That may be a strictly timed schedule, an eat-sleep-play pattern or a baby-centered routine. The 3-step program helps you find out which works best for your baby. Then with the perfect-fit nap routine ready, you learn how to install and keep good naps. The award-winning program also features extra help with settling for naps, a complete naps tips list and how to solve the 5 most common nap problems.